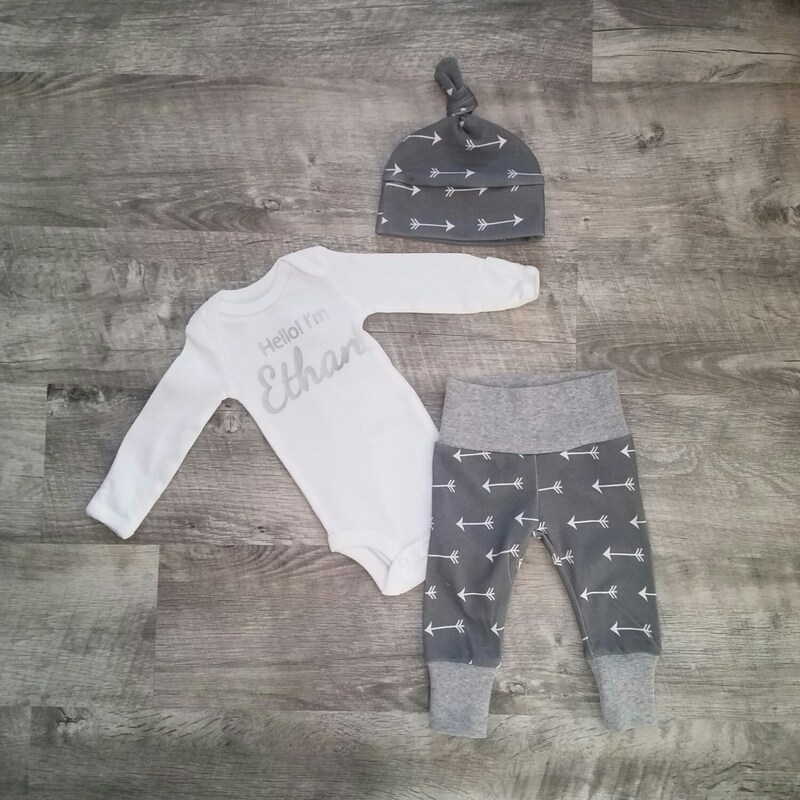 Personalized Baby Boy Coming Home Outfit. 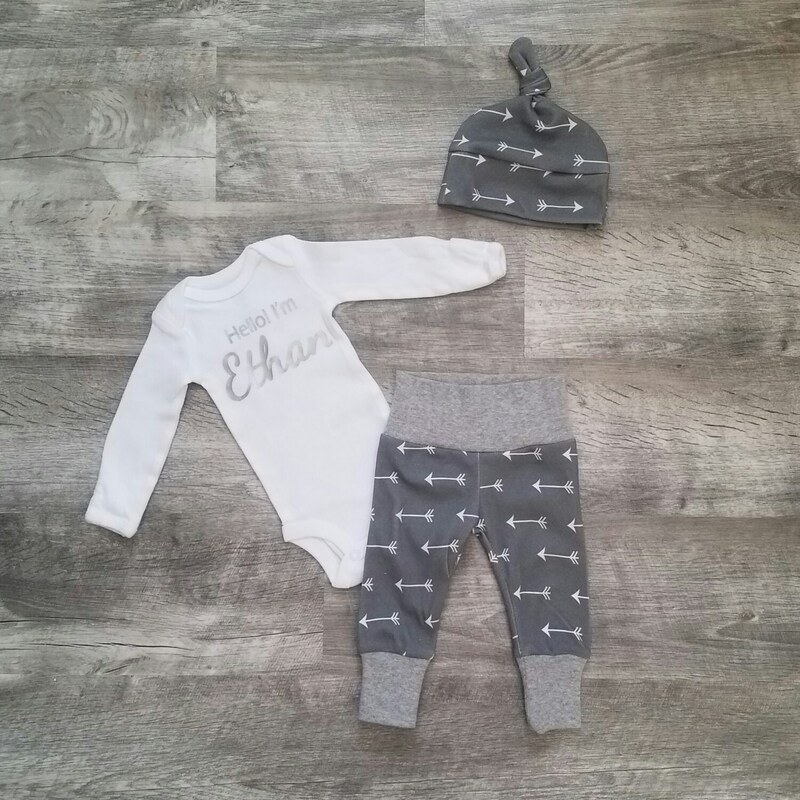 Personalized Newborn Boy Coming Home Outfit. 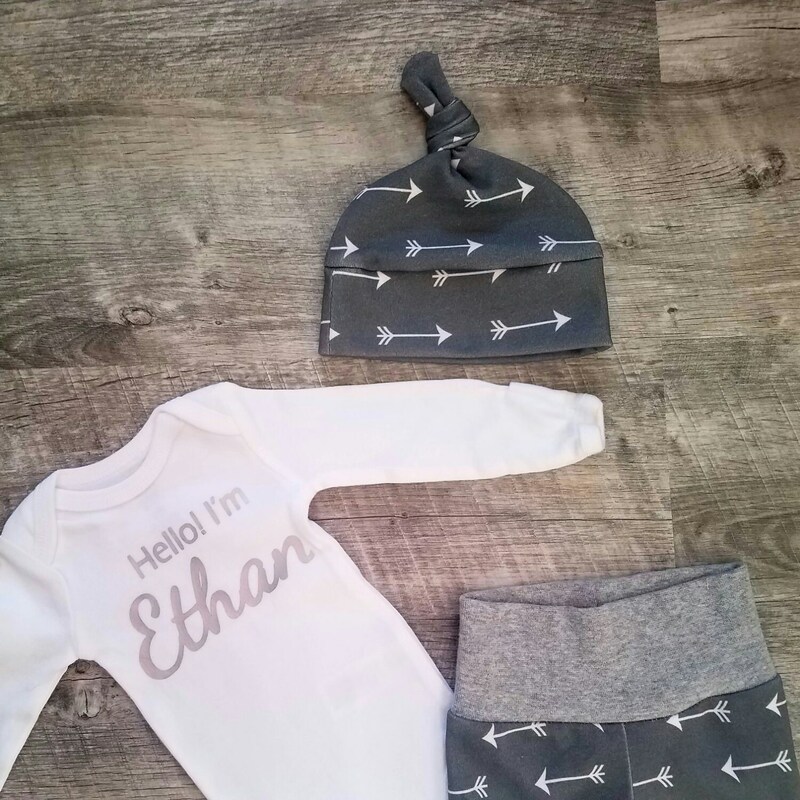 Personalized Boy Coming Home Outfit. Gray Arrows. Leggings are an cotton knit charcoal with white arrows. Leave any info (like size if you choose to add a big brother or sister T, personalization info for the onesie, note to the recipient if it is veing sent as a gift, etc) about your order in the notes section at checkout.